Genuine Camelbak brand 'MedBak' Medic's insert for the BFM patrol pack. 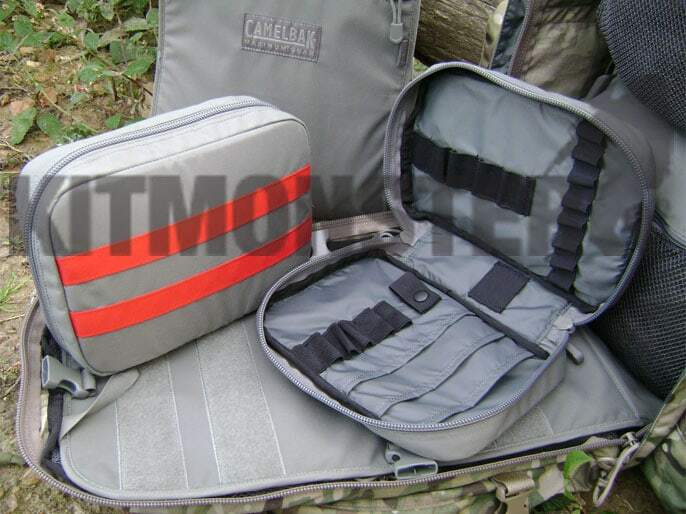 Dual role carrier, these can be used as a stand alone platform or integrated into the Camelbak BFM (BFM not included). Great addition to any vehicle kit, ideal for organising all kinds of small items, not just medical kit. Clamshell design allows maximum access to contents, laying flat if removed from the BFM. 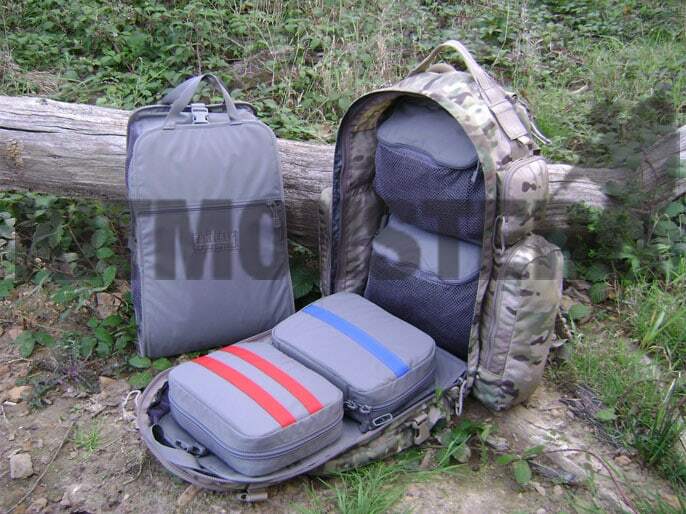 Interior has 2 fixed mesh pockets with zip closures, and 2 removable pouches. 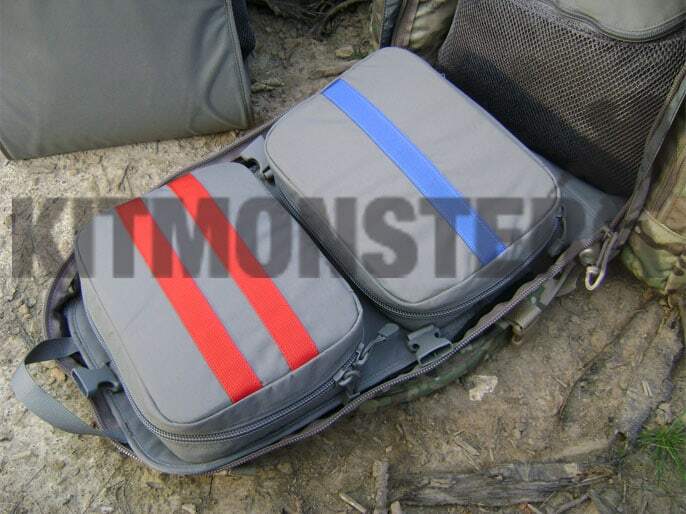 Removable pouches also feature 2 way zips with clamshell opening and internal organiser loops and pockets. 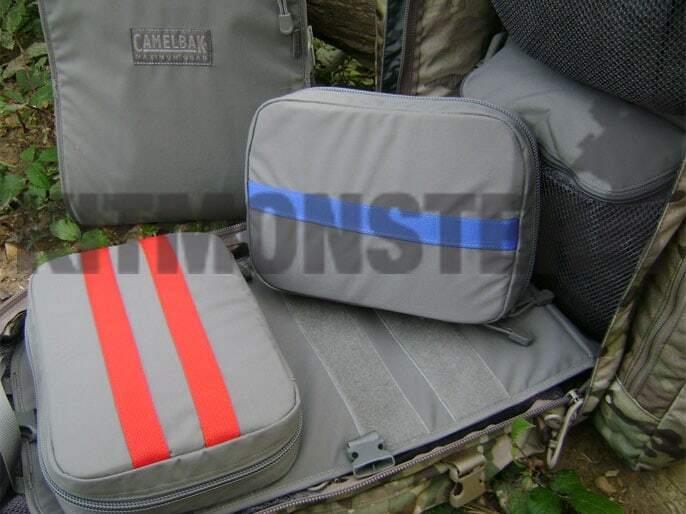 Internal fittings vary between the pouches, these pouches are colour coded red or blue for ease of identification. 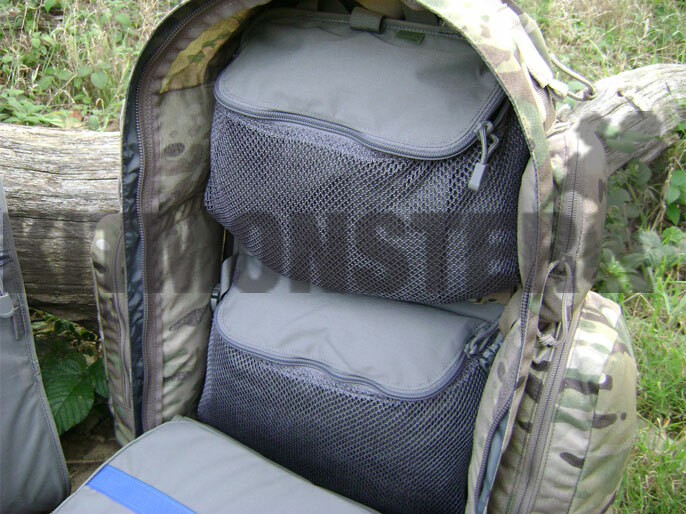 Stiffened outer with zipped, flat document pocket, twin grab/carry handles and 3 adjustable compression straps. Multiple views shown, single empty MedBak insert supplied. This listing is for the insert only, shown on the left of the main image. BFM Pack shown for illustration only, this is not included.